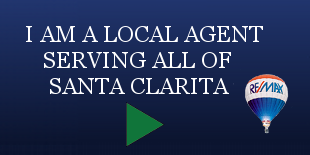 Santa Clarita divorce and real estate sales help . Tip: enter a street name such as "Stonington" to show all homes listed for sale on Stonington Lane. Leave off the "Lane/Ln.." or "Road/Rd." designations to insure you receive all the results for a street. You can also search for a specific address, such as 3130 Pamplico to view a specific home. What you can do to protect your assets, both financial and real estate before, during and after a divorce? Protecting yourself from losing your assets resulting from a divorce, is a major concern for many Santa Clarita residents who are either considering a divorce, going through a divorce or in a post divorce situation. Be aware that there are some very useful things that a person can do to protect themselves from financial disaster resulting from a divorce, usually the sooner that issue is addressed the better. Some other very important concerns associated with divorce are the sale of the family home and how it will affect the stress level and emotional well being of children and other family members and issues concerning custody, child support and alimony. Real estate is an asset which must be listed in the divorce papers and possibly divided. Real estate is considered an asset which will need to be listed in the divorce papers along with other assets A decision will have to be made about how the home and other assets will be divided. The couple involved in the divorce can decide how to divide their real estate and other assets as part of the divorce process if they can reach an agreement on that these matters , sometimes with the help help of a local real estate agent who is experienced in working with divorcing couples and/or with the help of an attorney, possibly working with a real estate agent, the parties can avoid the uncertainties and costs incurred by asking the court to make the decision. Real estate or real property for divorce purposes can be considered any of these and more.The marital home which both spouses own together , the home purchased by one spouse prior to marriage, the home purchased by one spouse during the marriage, the home purchased by one spouse after separation, property owned together with other people, a vacation, second home or time share, investment property, property owned by a business which is owned by one or both spouses, a lease to own property, property which is inherited, property which was acquired as a gift to either one or both spouses, property where either spouse has an ownership interest, property such as in an estate plan where a spouse has remainder interest even if the grantor has a life estate, you may need the advice of an attorney, knowledgeable in Family Law, to help you determine what your rights in the real estate may actually be. California is a community property State which means that typically each spouse owns 50% of the real estate owned purchased during the marriage, regardless of whether the spouse worked or contributed financially to the purchase of the home. There are exceptions to this rule and the property owner should consult with an attorney to find out if the exceptions apply in their particular situation. Also the purchase or sale of a property can be structured by the real estate agent with the help of an attorney so that these exceptions can be applied. Fair market value of your Santa Clarita home. 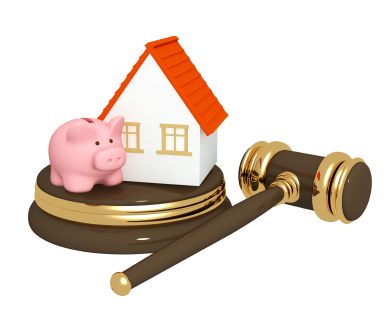 If you are considering a divorce or separation, the first thing that should be done regarding the real estate is to determine the fair market value of the house. To do this you would obtain either a appraisal or market analysis of the home from a certified appraiser or licensed real estate professional . A local Santa Clarita appraiser would for a fee conduct a full appraisal of the property. A local Santa Clarita real estate agent could provide you with a comparative market analysis of your home’s or property’s market value, usually free of charge. Determine the amount of equity in the property by subtracting the amount needed for the outstanding mortgage pay off. If there is any equity left over then divide that amount in half to determine the amount of equity which would be granted to each spouse. What to do is the home has” negative equity”? If the mortgage payoff exceeds the amount of the fair market value of the property and the house is worth less than what is owed, then the house is said to have “negative equity” also referred to as being “upside down” on the mortgage payments. The house could possibly be sold as a “short sale” to eliminate the outstanding mortgage debt. If the house is sold as a short sale then the lender will pay all of the selling costs of the home, forgive the first and second mortgage debts owed, avoid a foreclosure and credit destructions to the borrowers, and possibly pay several thousand dollars in moving expenses. Another possible option if either of the spouses would like to keep the home is to apply for a loan modification from the lender to see if they would be willing to reduce your monthly mortgage payments since your financial situation will be changing and the divorce could be viewed as a “hardship” by the lender. Decide with your spouse if you would want to list the property for sale or possibly one spouse would rather buy the other spouse out or rent the house back as part of the negotiation process. Remember that a home or any other real property is part of the “pool of marital assets” its sale can be negotiated with as part of the division of marital assets. The equity in the real estate property or the possession of the property can be used to offset other debts owed by one of the spouses or in exchange for other assets or future payments and or privileges. 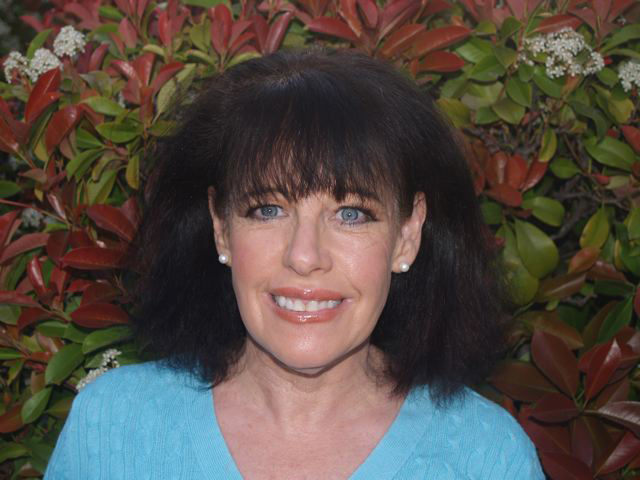 I am fortunate to work with an excellent and very experienced local divorce and real estate attorney, Mr. Harvey I. Levin, Encino Law Offices of Harvey I Levin, who will give a free half hour consultation (a $200 value) to any of my interested divorce clients at my request. Please contact me for details or a free consultation referral. List of bank owned Homes?